The Ematic Tablet Folio Case and Stand houses and protects your electronic device while traveling. 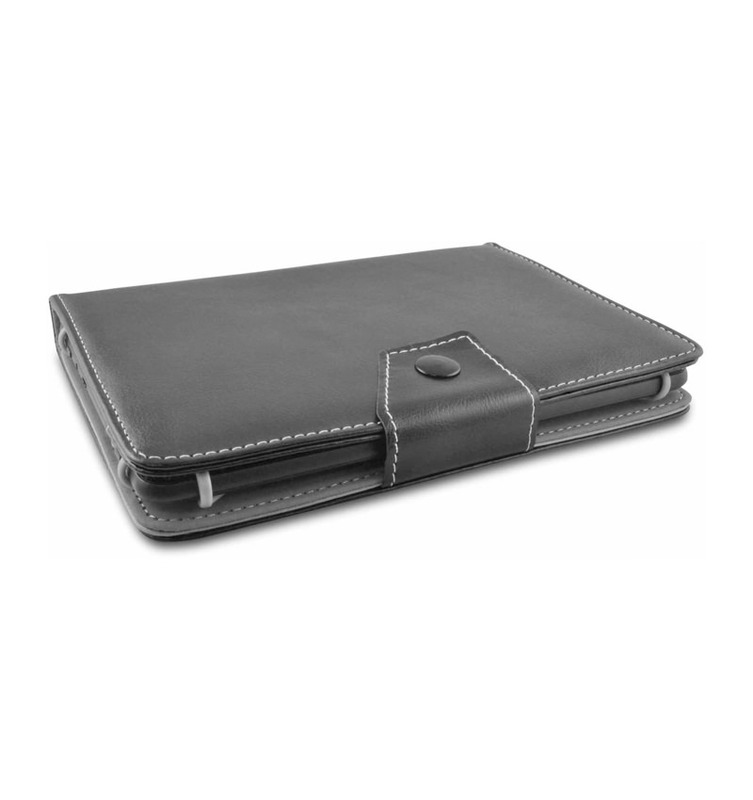 The stylish leatherette covert keeps your valuable equipment safe from accidental bumps. It also doubles as a hands-free stand. Simply fold it into position and it will hold your tablet while you enjoy videos, do research and more. Adjustable clips hold your tablet securely in place when toting and using the display function. 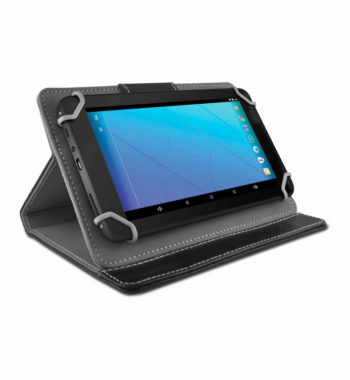 The universal design of this 7″ tablet case works with a variety of devices. It is compatible with the Apple iPad mini, Nexus 7, Galaxy Tab and others. The Ematic Tablet Folio Case and Stand houses and protects your electronic device while traveling. The stylish leatherette cover keeps your valuable equipment safe from accidental bumps. It also doubles as a hands-free stand. Simply fold it into position and it will hold your tablet while you enjoy videos, do research, and more. 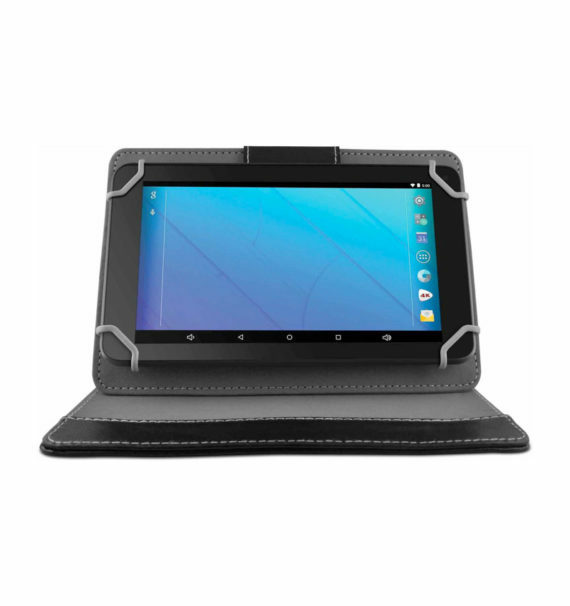 Adjustable clips hold your tablet securely in place when toting and using the display function. The universal design of this 7″ tablet case works with a variety of devices. It is compatible with the Apple iPad mini, Nexus 7, Galaxy Tab, and others.